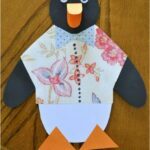 We have had buckets and buckets of rain here the last few days so since most of our play time has been indoors, we decided to make a craft all about our rainy day. 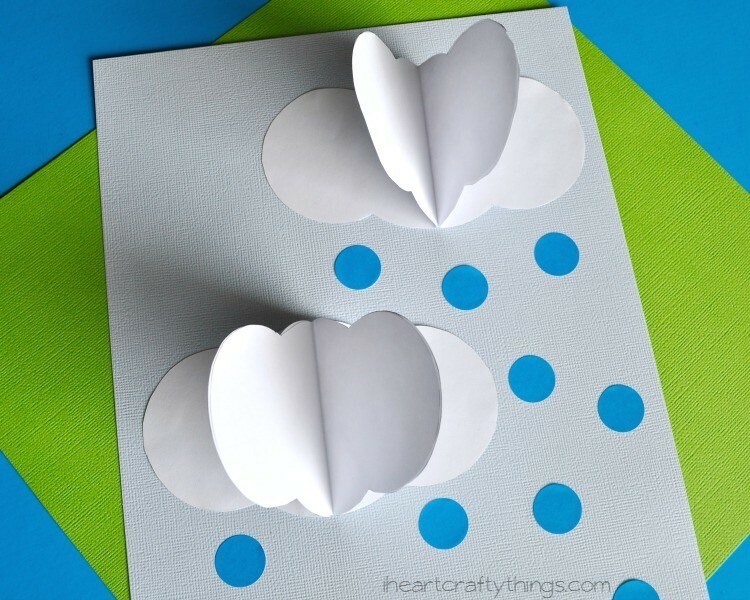 I’ve been admiring all of the cute 3D crafts I’ve seen lately, like these 3D Paper Ladybugs over at Crafty Morning, so we decided to make our own twist on it and created a 3D Rain Clouds Craft. 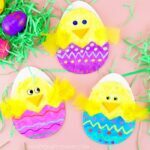 It is a really simple craft, but fun for the kids. I’ve included a free pattern of our clouds to make the craft super easy for you. 1. 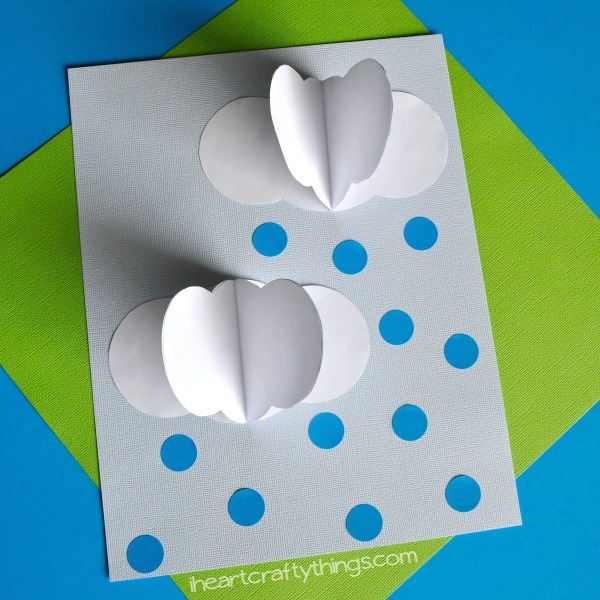 Start by printing our your Rain Clouds Printable. We printed ours out on 28lb white printer paper. Cut out all the cloud pieces. 2. 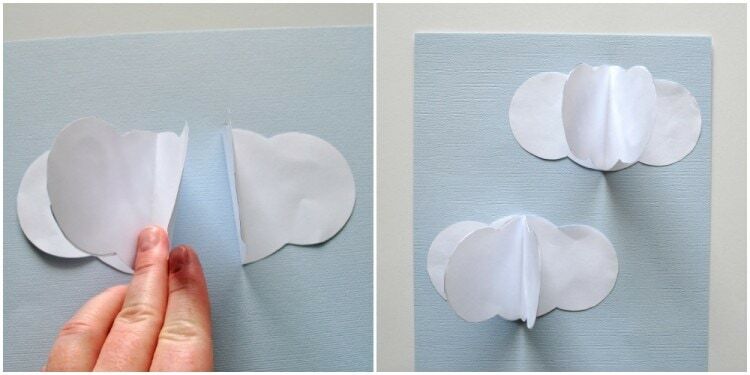 Fold all of your clouds in half. Take two pieces and face them opposite each other (see picture below). 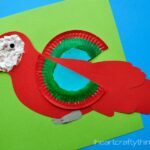 Add some glue to one side and glue the two pieces together. 3. Glue on one more cloud piece to the one you just connected. Each cloud uses 3 of the cloud pieces. So after connecting all of them you end up with two clouds. 4. 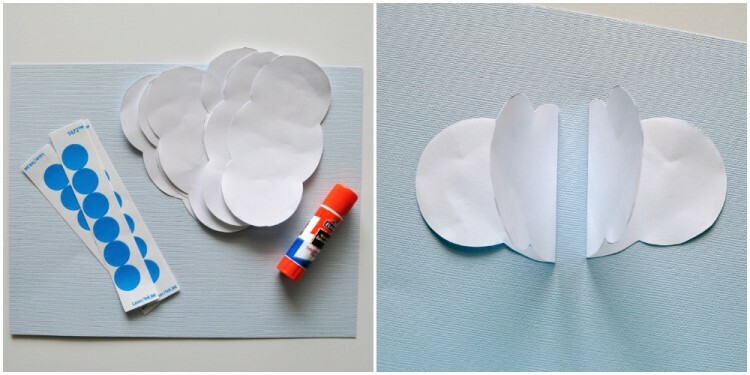 Glue both clouds onto your light blue cardstock paper. 5. 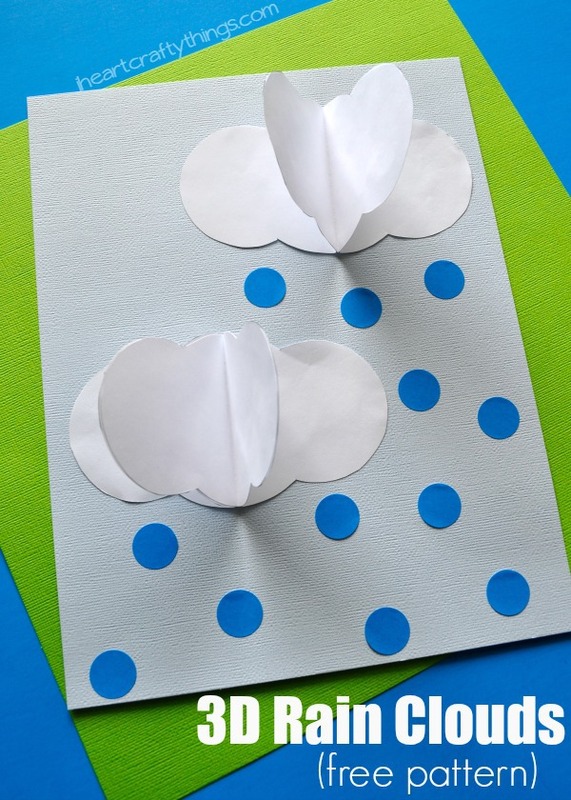 Finish your rain clouds picture by adding your blue round stickers at the bottom of the clouds to act as rain drops. 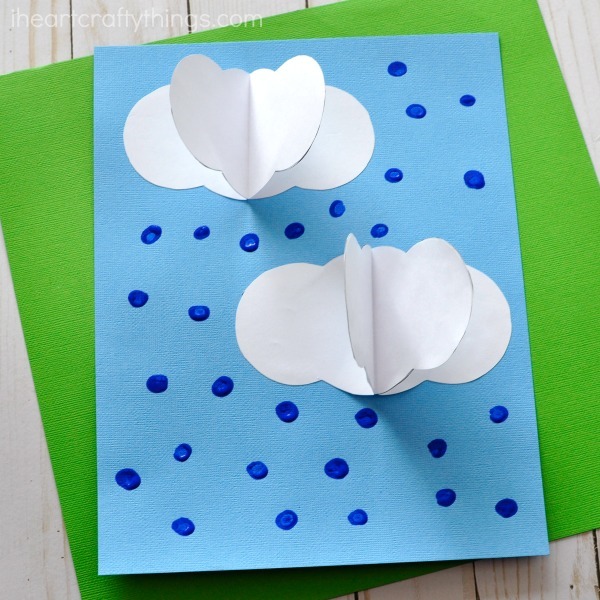 As an alternative to the blue stickers you could make fingerprint rain drops with blue paint. See how we did this below.